《璇機圖》 by 蘇蕙 (circa 357AD). 蘇蕙 (Su-Hui, 357AD – a tumultous time of the Six Dynasties period), married to a government official, who was subsequently sent to be stationed with his garrison at the northern borders. The lovelorn Su-Hui later found out that her husband had taken a courtesan as mistress, and in a fit of anger, proceeded to beat up the mistress. This estranged the relationship between Su-Hui and her husband, who refused all communication with his wife. 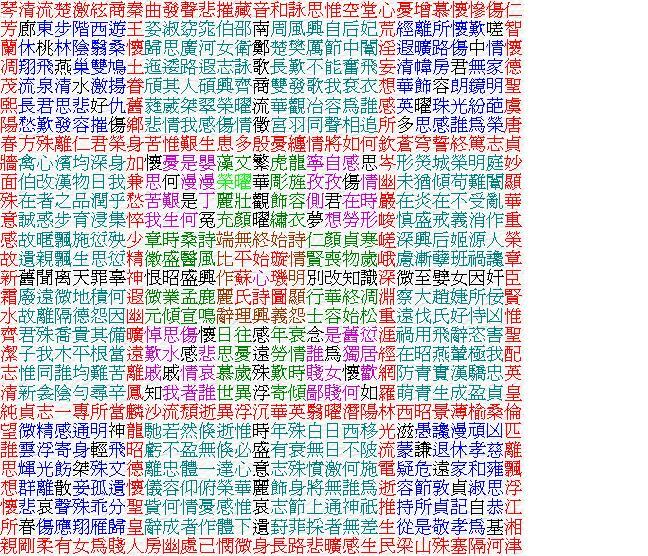 Crushed, hurt, angered by betrayal; yet with her steadfast love and the pain of separation weighing on, Su-Hui began writing lines of poems and in time, stitched the 8-inch 《璇機圖》 on silk in five different colours, and sent it to her husband. Apparently, the husband, after reading the poem, left the mistress and was reunited with Su-Hui. Su-Hui, already noted in her time for her extraordinay talent and intelligence, was considered by latter generations of poets and scholars to be a literary genius without par and was lauded and eulogized in many later poems. 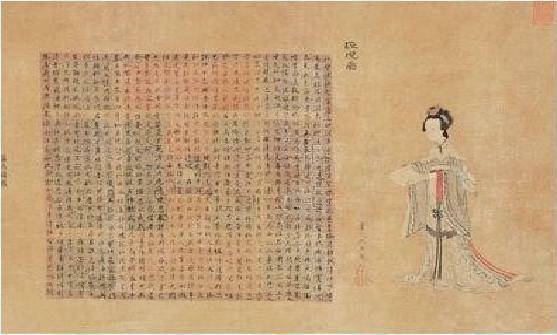 The uncovering of her nearly 8000 poems within her 《璇機圖》 took place in bursts and spurts over the last 1700 years, with Empress Wu Zetian of the Tang Dynasty (the multi-talented first female reigning monarch in Chinese history), amongst the first to work out Su-Hui’s hidden lines in the 7th century AD and to see the potential that the 《璇機圖》 may contain lines in the thousands. A major effort by Ming scholars (15th century AD) yielded much of the current count of 7958 lines. It is believed the 《璇機圖》 may contain yet more gems waiting to be discovered. [Note that even the title is a 2nd-order double entendre playing on both the description of “A picture of revolving possibilities” and the alternate name of the northern constellation, the Big Dipper. The character 心 or heart, sits right in the center of the poem. The nine-character line “蘇氏詩圖璣璇始平心“ （reading counter-clockwise from the character directly to the left of 心), can be read as: “Su’s picture-poem of revolving possibilities starts hence, a heart at peace”. Or alternatively may be read as: “Su’s picture-poem of potentials revolves around a heart here at 始平 (the name of her hometown)”.